Targeting Science, Technology, Engineering and Math (STEM) in education started to become a mainstream in American schools from about 2001 to 2005, and some speculate as early as 1985 (Education Week Archives, 2015). Naturally, 4-H being at the forefront of research based science education, and positive youth development (PYD) started to implement STEM into their programming. 4-H Shooting Sports, a major project area in the program became popular in the 1980’s, because it is a quintessential example of 4-H’s “Learning By Doing” approach. 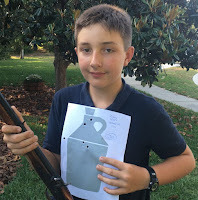 In addition, 4-H Shooting Sports has a unique ability to attract and retain teens of both genders. The major disciplines (sports) within the program include archery, rifle, shotgun, black powder and hunting. Whether on the range, in the field or classroom 4-H Shooting Sports gets kids involved in healthy, challenging, outdoor activities that not only stimulate their minds but also reinforce a healthy lifestyle. The project also supports team (pro-social) interaction as well as individual achievement, goal setting and evaluation. Florida is fortunate to have support to provide these activities, and UF/IFAS Extension in Brevard County is doing its best to implement them with the help of volunteers. If you are interested in participating as a youth or volunteer, be sure to watch our events page or contact Gus Koerner for more information Tel: 321-633-1702, Ext. 229 or email: gkoerner@ufl.edu.